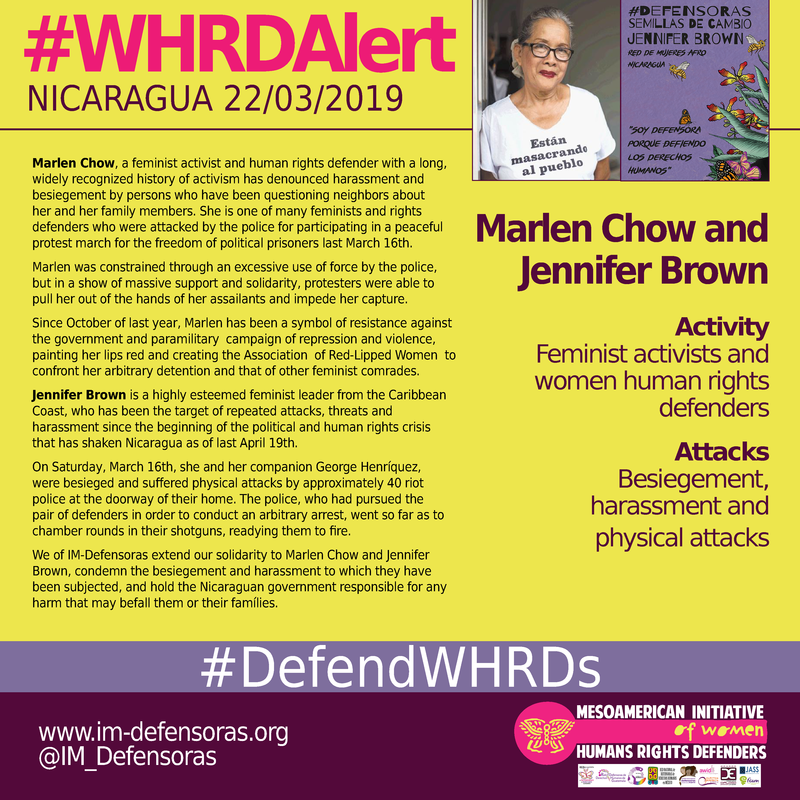 THE FACTS – Marlen Chow, a feminist activist and human rights defender with a long, widely recognized history of activism has denounced harassment and besiegement by persons who have been questioning neighbors about her and her family members. She is one of many feminists and rights defenders who were attacked by the police for participating in a peaceful protest march for the freedom of political prisoners last March 16th. Marlen was constrained through an excessive use of force by the police, but in a show of massive support and solidarity, protesters were able to pull her out of the hands of her assailants and impede her capture. Since October of last year, Marlen has been a symbol of resistance against the government and paramilitary campaign of repression and violence, painting her lips red and creating the Association of Red-Lipped Women to confront her arbitrary detention and that of other feminist comrades. 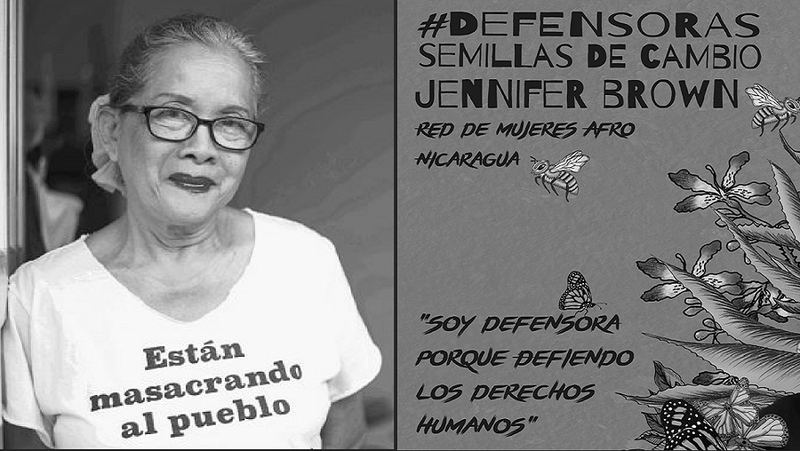 Jennifer Brown is a highly esteemed feminist leader from the Caribbean Coast, who has been the target of repeated attacks, threats and harassment since the beginning of the political and human rights crisis that has shaken Nicaragua as of last April 19th. On Saturday, March 16th, she and her companion George Henríquez, were besieged and suffered physical attacks by approximately 40 riot police at the doorway of their home. The police, who had pursued the pair of defenders in order to conduct an arbitrary arrest, went so far as to chamber rounds in their shotguns, readying them to fire. We of IM-Defensoras extend our solidarity to Marlen Chow and Jennifer Brown, condemn the besiegement and harassment to which they have been subjected, and hold the Nicaraguan government responsible for any harm that may befall them or their famílies.